I was introduced to Keliy Anderson-Staley's work, right here, on the Nymphoto blog (this added bonus happens quite often). As I looked through her website, Keliy's Off the Grid project drew me in. 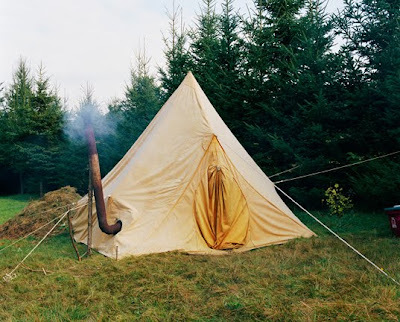 I was curious about the Off the Grid lifestyle, how it was sustained and carried out. As an insider who grew up in one of these communities, Keliy is the perfect vehicle through which to view this way of life. And in the same vein, I understood how she can be so passionate about methods of photography such as collodion, tintype and ambrotype, that in essence harkens back to the early days of the medium. Keliy Anderson-Staley: I grew up in a log cabin in Maine. We didn't have a phone or running water or regular electricity. Our dirt road was over a half-mile long and it wasn't plowed -- we had to drag all of our food and school books up to the cabin by sled. We had a gravity-powered shower that we had to fill using water from our hand pump that was heated on the wood stove. I joined the local YMCA just so I could take hot showers there. When I was a teenager I walked almost a mile to a pay phone at a rest stop on a nearby paved road to call friends. Back then I dreaded the isolation and long dark winters, but now, after living in NYC for the last 8 years I wish I could spend more time deep in the woods where you can see thousands of stars in the night sky and pick wild blackberries at dawn. KAS: I found my way to photography through collage and photo montage. As an undergrad at Hampshire College I was looking for new ways to flatten collages and to bring images onto unusual surfaces. I made a series of photograms using layers of text and image on acetate to create a kind of palimpsest on the smooth surface of a photograph. I also began printing images with liquid light onto rusted baking pans. 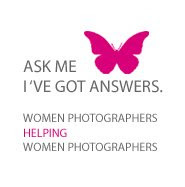 At the time I still didn’t consider myself a photographer yet, but rather someone who used photography in her work. After college, though, I began photographing the area in Maine where I grew up, and realized cameras and film were the most appropriate expressive vehicle for me. I also became interested in the history of photography and learned the wet plate collodion process, and I've been making tintype and ambrotype portraits for six years. KAS: Even when I am photographing houses and the things that people accumulate and surround themselves with, I see myself as producing portraits. So I’d have to say, I find inspiration in people themselves. Photographing with collodion has made me obsessed with faces. Everywhere I go—on the subway, in a store—I’ve begun imaging how a face will look as a tintype. I am drawn to faces and I hope as a photographer to do them justice. I believe photography should tell the truth; it shouldn’t hide blemishes or the unpleasant realities of someone’s life. But it shouldn’t be cruel or judgmental either. Although I hope to reveal things about people that they may not have seen in themselves, I have no interest in making photographs that they wouldn’t like. 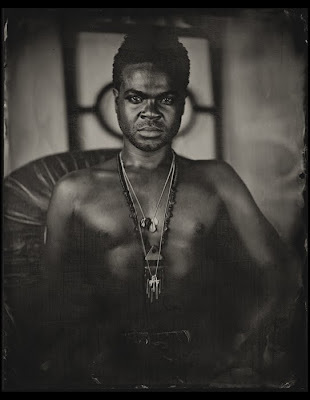 KAS: I’ve really been working on two projects simultaneously for a number of years—the wet plate collodion portraits, which I've begun calling "-americans" and “Off the Grid.” The processes for the two are very different. I’m producing the wet plates in the studio the way Mathew Brady and Julia Margaret Cameron did—using the same chemistry formulas and equipment. 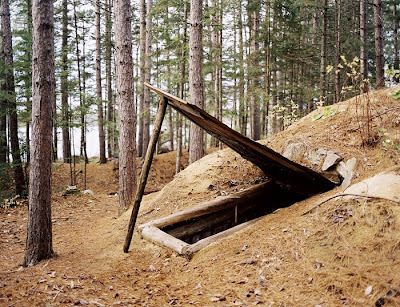 In the field on the other hand, researching and working on the "Off the Grid" series, my practice is different—I’m seeking out a narrative and working out a visual vocabulary that suits the subject. There is a story to tell and details to root out, characters to develop and define. Both projects are deeply personal for me, though. 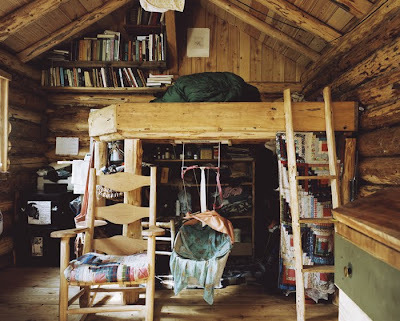 As I said, I grew up in an off-the-grid cabin, and I am still trying to make sense of my childhood in that context, I think. 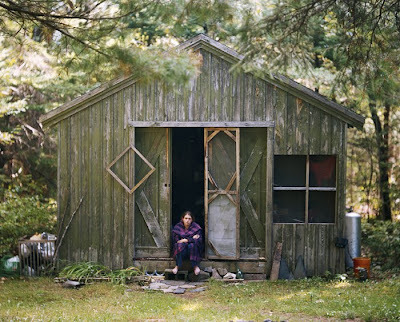 But my aesthetic was also defined by my father’s cabin—the makeshift nature of the structure, the diverse and collaged pieces out of which it was constructed, the familiar rusticity of wood, stone and glass. 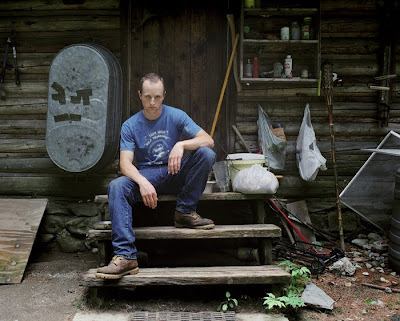 I have increasingly discovered connections between the two projects, most importantly the fact that both the wet plate process and living off the grid require a devotion to techniques and skills that have mostly been forgotten. 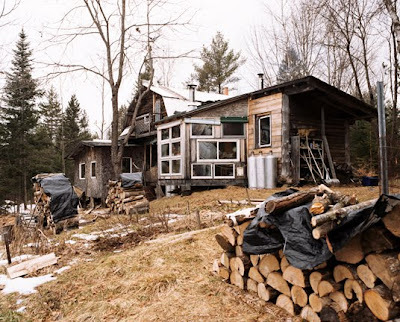 Living off the grid in the woods – growing one's own food, chopping fuel, building and maintaining a shelter – requires dedication to a set of skills that must be practiced and learned. Each of these families has learned survival skills, but they also live their lives within the context of life as a craft, mastering skills that in the modern world are divided among hundreds of workers. The use of actual period lenses, handmade wood view cameras, and chemicals mixed by hand puts me in contact with the craft of photography in a way that a digital camera cannot. 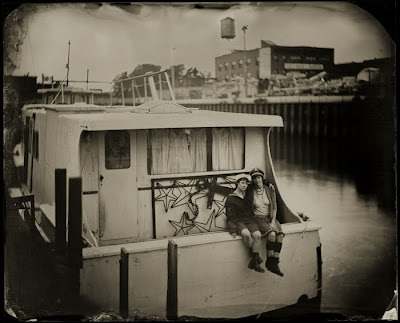 I have, however, resisted using the wet plate process to photograph the off-the-grid families. 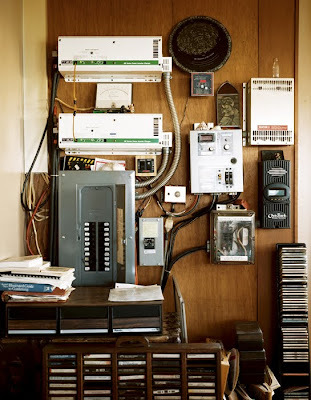 Although they live seemingly antique lives, they are very much of the modern age – using solar panels and other technologies to diminish their impact on the environment. 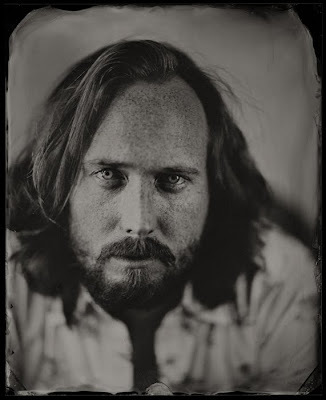 KAS: I am shooting a lot of tintype and ambrotype portraits these days. I always need more sitters. If anyone would like to come in to my studio for a portrait session, please contact me. I am also teaching the process at the Center for Alternative Photography in NYC (capworkshops.org). I have a few shows opening in the fall and I expect to be traveling a bit to see them. To see more of Keliy's work, go to andersonstaley.com. fascinating. thanks for the great interview! Love this work. 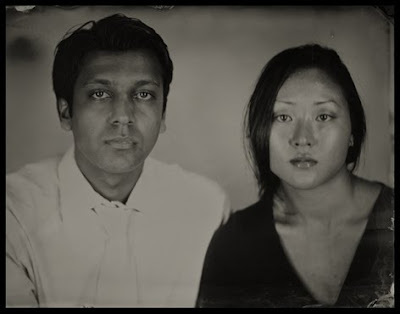 The tintypes are really beautiful.